In 1986 I took a trip to California in which I discovered the nerdy prog rock of Rush. I also read The Talisman (1984), by Stephen King and Peter Straub, and watched a ton of movies by myself at the local cinema, including Ferris Bueller’s Day Off, Tobe Hooper’s remake of Invaders from Mars, and The Manhattan Project, a little-known suspense drama about a scientist (John Lithgow) researching plutonium at a lab in upstate New York. Of course, he ends up befriending a local teenager (Christopher Collet) who happens to be a genius, and the kid decides to steal the plutonium in order to make an atomic bomb. Because, why the hell not? It’s silly and implausible, yes, but innocent in the way 80’s movies tend to be. There isn’t an ounce of danger here, yet rewatching it I was once again at the edge of my seat during the climax in which a bunch of scientists and soldiers try to figure out how to defuse the ticking weapon. It involves multiple people cutting wires at the same time (I have no idea if the science is sound, but it’s kind of cool). 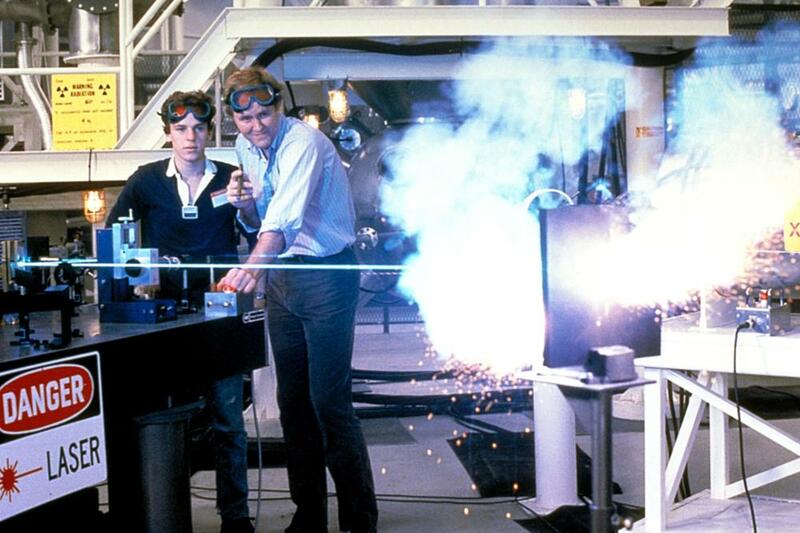 In any case, if you’re in need of a nuclear thriller and you can’t find your VHS of Wargames (1983), give The Manhattan Project a go. Boom.